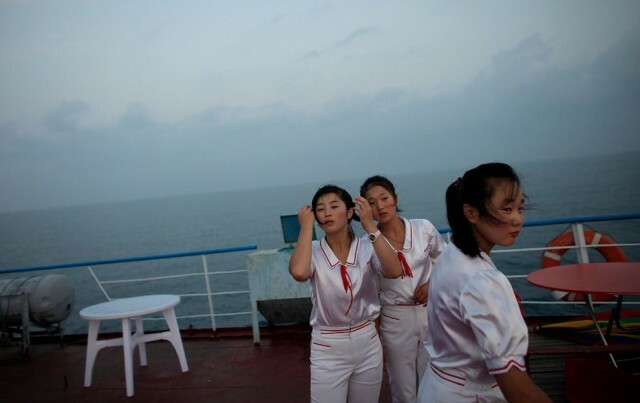 Discover this unexpected series of North Korean women workers taken by Reuters. Despite difficult work conditions, Reuters photographers have captured beauty and emotions of these active women, regardless of the type of employment. 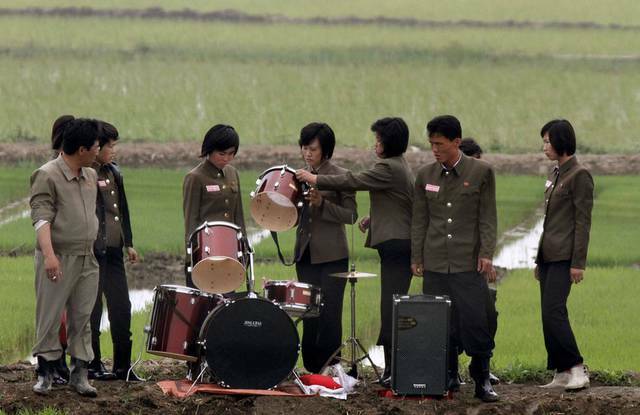 Members of a music group check a drum on a path amid fields as they pack up their instruments after giving a performance to greet the farmers at Hwanggumpyong Island, near the North Korean town of Sinuiju and the Chinese border city of Dandong June 6, 2012. (Photo by Jacky Chen/Reuters). 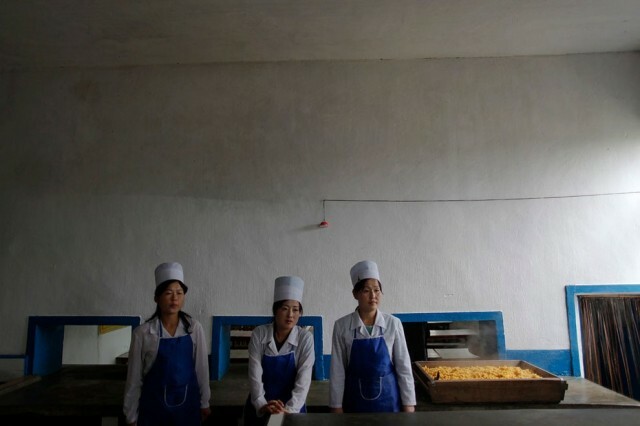 North Korean women stand by a simple meal of maize prepared for orphans in the area damaged by recent floods and typhoons in the North Hwanghae province September 29, 2011. (Photo by Damir Sagolj/Reuters). 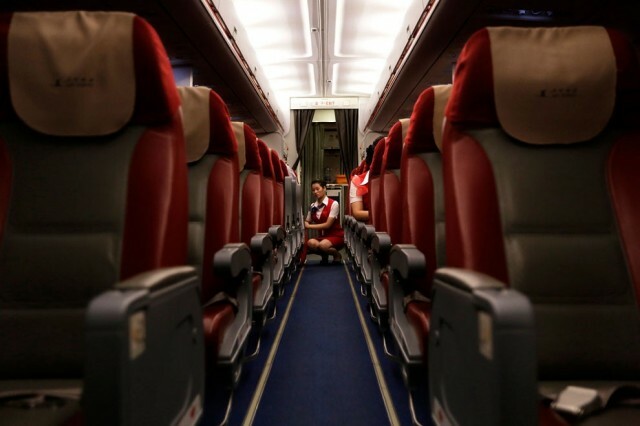 A North Korean airline attendant is seen on an Air Koryo aircraft flying towards Pyongyang from Beijing, July 24, 2013. (Photo by Jason Lee/Reuters). 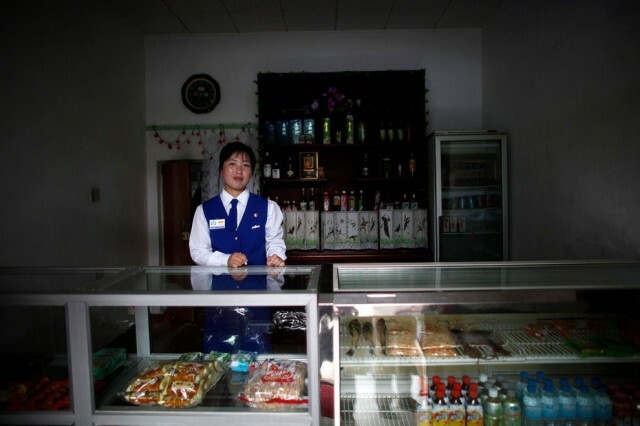 A vendor stands inside a shop at the North Korean Special Economic Zone of Rason City in Rajin, northeast of Pyongyang August 29, 2011. (Photo by Carlos Barria/Reuters). 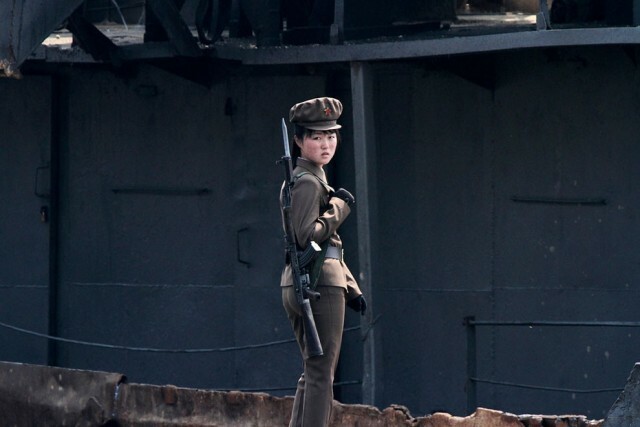 A woman works in the Kim Jong-suk Pyongyang Silk Mill in Pyongyang April 9, 2012. The factory is named after the wife of North Korea founder Kim Il-sung. (Photo by Bobby Yip/Reuters). 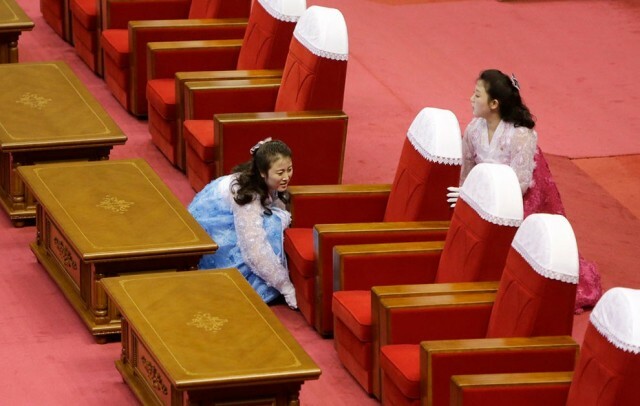 A North Korean woman (L) adjusts the position of seats for top leaders and guests ahead of an artistic performance to commemorate the 60th anniversary of the signing of a truce in the 1950-1953 Korean War in Pyongyang July 28, 2013. (Photo by Jason Lee/Reuters). 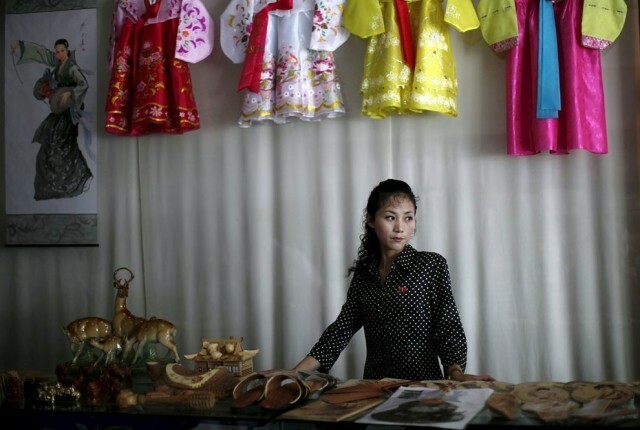 A woman stands in a gift shop in central Rason city, part of the special economic zone northeast of Pyongyang, in this August 30, 2011 file photo. 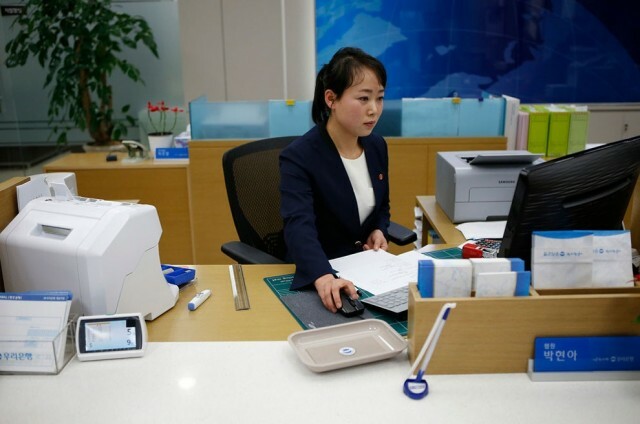 North Korea is a militarized, male-dominated society, but it is women who are making the money as the insular nation allows an unofficial market-based economy to take shape. (Photo by Carlos Barria/Reuters). 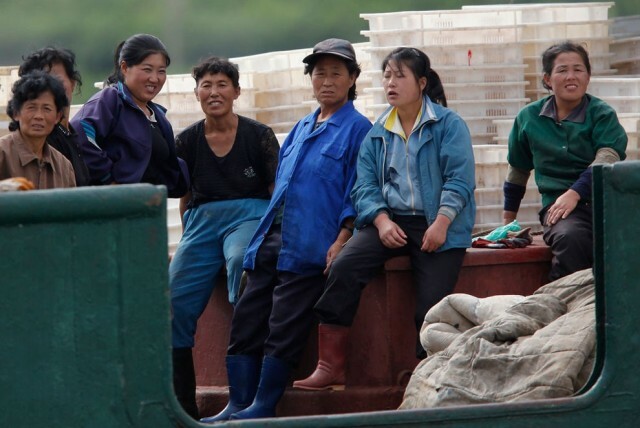 Female workers takes a break on a fishing boat at the port of Rajin, in North Korean Special Economic Zone of Rason City, northeast of Pyongyang September 2, 2011. (Photo by Carlos Barria/Reuters). 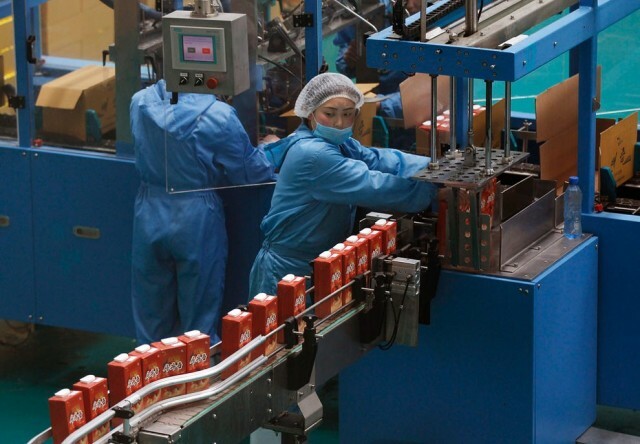 Workers operate a production line at a factory making fruit juice near the Daedonggang Fruit Farm, with 125 hectares of apple trees, on the outskirts of Pyongyang April 10, 2012. (Photo by Bobby Yip/Reuters). 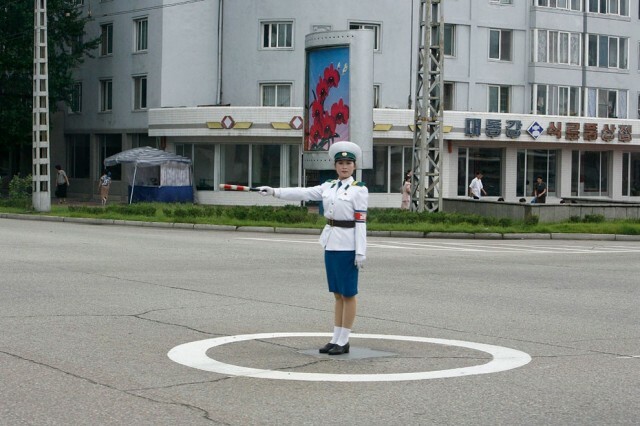 A North Korean traffic policewoman stands on a road in Pyongyang August 27, 2007. (Photo by Reinhard Krause/Reuters). 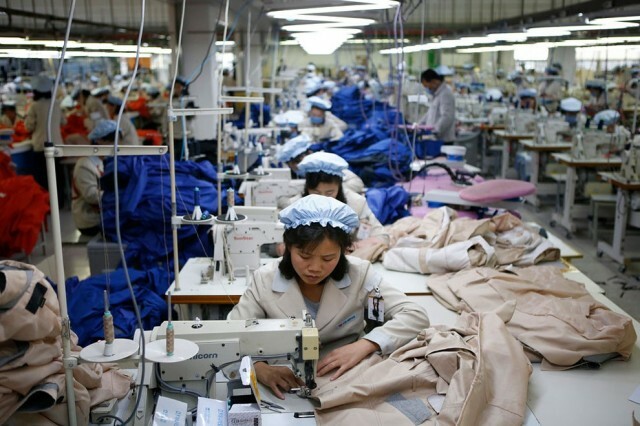 North Korean employees work in a factory of a South Korean company at the Joint Industrial Park in Kaesong industrial zone, a few miles inside North Korea from the heavily fortified border December 19, 2013. (Photo by Kim Hong-Ji/Reuters). 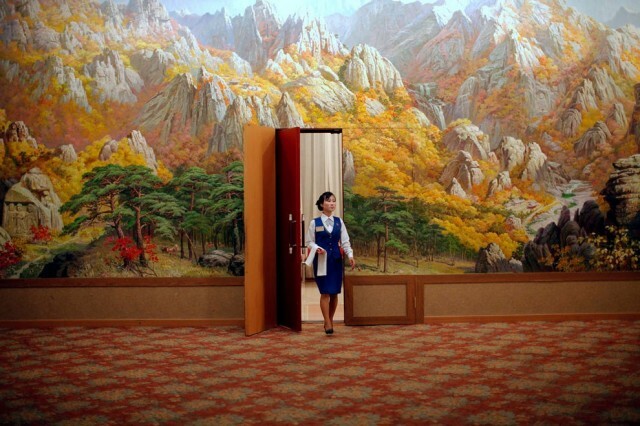 An employee enters a room at a hotel in Mount Kumgang resort in Kumgang September 1, 2011. (Photo by Carlos Barria/Reuters). 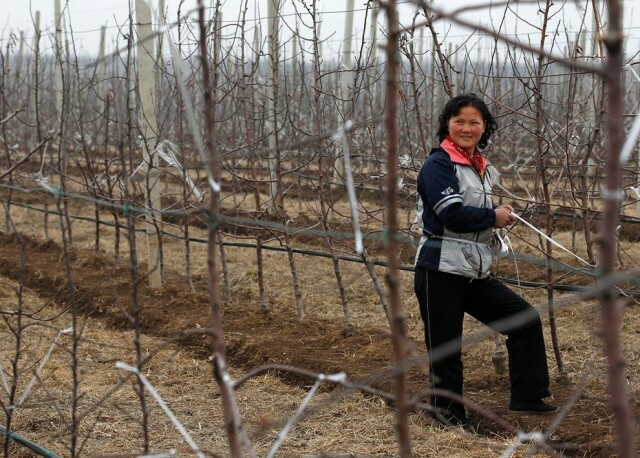 A woman smiles as she works at Daedonggang Fruit Farm, with 125 hectares of apple trees, on the outskirts of Pyongyang April 10, 2012. (Photo by Bobby Yip/Reuters).